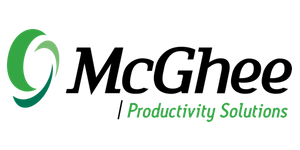 Join us for a special 4.5-hour virtual training on June 8th for McGhee Productivity Solution’s (MPS) popular and well known Take Back Your Life!® program, specifically designed for busy executives. The virtual session is $299 per attendee and is for senior-level professionals only (Directors, VP, C-Level). The training will provide instruction on how to optimize the use of Microsoft Outlook for better results and productivity. This unique training is customized to address key issues that typically impact senior-level professionals. It is a compilation of our traditional TBYL training along with techniques to address specific pain-points shared by our multitude of Fortune 500 executive clients. We only have availability for 20 participants, so reserve your place early! As a special bonus, all paid attendees will receive a discounted offer toward a TBYL 1:1 Quick-Start Coaching session. Details will be unveiled during the training.